Winter can be a destructive season for any roof. This is especially true for property owners, since commercial roofs are typically flat or low sloped. The snow and cold winds are sure to leave a mark, which can only be fixed with proper roof maintenance. Here’s how you can prepare your roof before the cold season. Before the winter hits, you’ll need to know the state of your roof. It’s advisable to have a professional inspection. This way, any damages can be cleaned and fixed. For example, you can stop leaks and cracks if you spot them before the winter season. You’ll have cold wind intruding your interior if you don’t address the problems. The best way to keep your roof safe is by completing roof maintenance. This prevents dirt and water from affecting your roof later on. Sure, your roof may not have much damage right now. However, a small risk can become a big problem during winter, when it might be harder to fix it. Even flat roofs still use flashing and gutters, although they will need frequent inspection. To be on the safe side, check all these systems before winter. You’ll want all blockages, damage and poor installation issues fixed. This way, your roof is in the best condition going into the cold season. When you need roof maintenance or installation for a commercial property, you’ll need a reliable company to help you. The ones with the best experience and knowledge can save you money and time. They can even improve your roof in the process, so be sure to look for the right people. 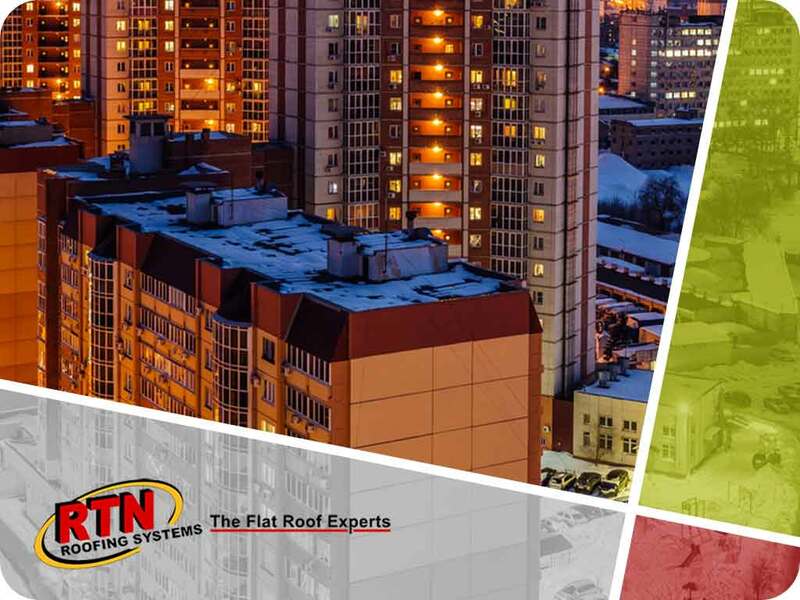 As a trained and experienced contractor, RTN Roofing Systems can help you in all your residential and commercial roofing services. We cover repair, replacement and installation for your sloped or flat roofs. This way, you can stay safe and have the best roof before winter hits. To learn more about the products and services we offer, call (303) 578-1257 today. We serve Denver, Loveland and Colorado Springs, CO, as well as other areas in Colorado. When Should You Restore Your Roof Instead of Replacing It?